On April 25, 2017, the European Court on Human Rights announced a judgment in the case of the Hungarian Evangelical Fellowship v. Hungary. This decision followed a 2014 finding by the Court that Hungary's 2011 law on religion violated the rights to freedom of association and freedom of religion. In light of the failure of Hungary to end continuing violations, the April judgment awarded the Evangelical Fellowship €3 million in damages. The case has its origins in changes made to Hungary’s religion law, which establishes a framework for the registration, or official recognition, of churches. The law was rushed through parliament in June 2011 in a midnight parliamentary session as part of a massive three-year wave of 700 new laws, a new constitution, and five amendments to the Constitution passed between 2010 and 2013. The “church law,” as it is known, came into force in 2012 and stripped legal recognition from over 300 previously recognized faiths; only 14 faiths retained their status under the new law. The law gives the exclusive authority to the elected politicians in the Hungarian parliament to determine what constitutes a church, based on a parliamentary review of a religious community’s faith and rites; bylaws and internal rules; and elected or appointed administrative and representative bodies. The parliament then makes its decision according to a two-thirds vote. Churches recognized by the parliament are granted a range of financial benefits and other privileges, including the ability to minister to co-religionists in public institutions such as schools, prisons and the military; unregistered faiths are denied these benefits. Religions that lose their state recognition may have their assets confiscated by the state. Hungarian Ombudsman Mate Szabo criticized the law when it was adopted and the Constitutional Court has twice struck down parts of the new religion law. Parliament changed the law to allow unrecognized groups to identify as “churches” (translation: “you can call yourself whatever you want”), but refused to alter the discriminatory framework that excludes unregistered faiths from the benefit of official status (translation: “you’ll still have second-class status”). In other words, there was no meaningful legislative change to address the law’s shortcomings. The Hungarian Evangelical Fellowship, joined by several smaller groups, including Mennonites, two small reformed Jewish congregations, and a Buddhist congregation, brought the case that was decided by the European Court in 2014. The European Court held that the “church law” is “inconsistent with the State’s duty of neutrality in religious matters that religious groups had to apply to Parliament to obtain re-registration as churches and that they were treated differently from incorporated churches with regard to material benefits without any objective grounds.” Damages were awarded to the other religious communities in 2016, but the Hungarian Evangelical Fellowship continued to seek damages in light of continuing violations. In its April 2017 decision, the court awarded €3 million to the Hungarian Evangelical Fellowship. The damages for discriminatory treatment included the loss of personal income tax donations and the corresponding supplementary State subsidy; the loss of State subsidies intended to support the applicant’s social and educational institutions; the loss of subsidies for religious teaching; and the loss of salary supplements paid to the staff employed by church institutions providing public-interest services. Unfortunately, the Court does not have the authority to compel Hungary to change its religion law and it is up to the Hungarian parliament to take the measures to comply with the ruling. (The Court may award damages again – and again – in the case of continuing violations.) De-registered churches may be able to get a judgment for damages in Strasbourg, but only Budapest can provide a legal remedy. The government may be trying to squeeze the Hungarian Evangelical Fellowship out of existence by depriving them of the benefits extended to other faiths and forcing them to devote resources to constantly litigate and re-litigate the same violations. Smaller churches de-registered after 2011 have already largely been shuttered. The Hungarian Evangelical Fellowship broke from the Hungarian Methodist Church in the mid-1970s over the issue of collaboration with the communist regime. As a faith that would not bend to the communist regime, the Hungarian Evangelical Fellowship was subsequently forced underground and persecuted for engaging in charitable work with the poor at a time when the communist regime was loath to admit that poverty was a serious problem. After the fall of the communist regime, in 1991 the Hungarian Evangelical Fellowship was officially recognized until stripped of this status under the 2011 law. 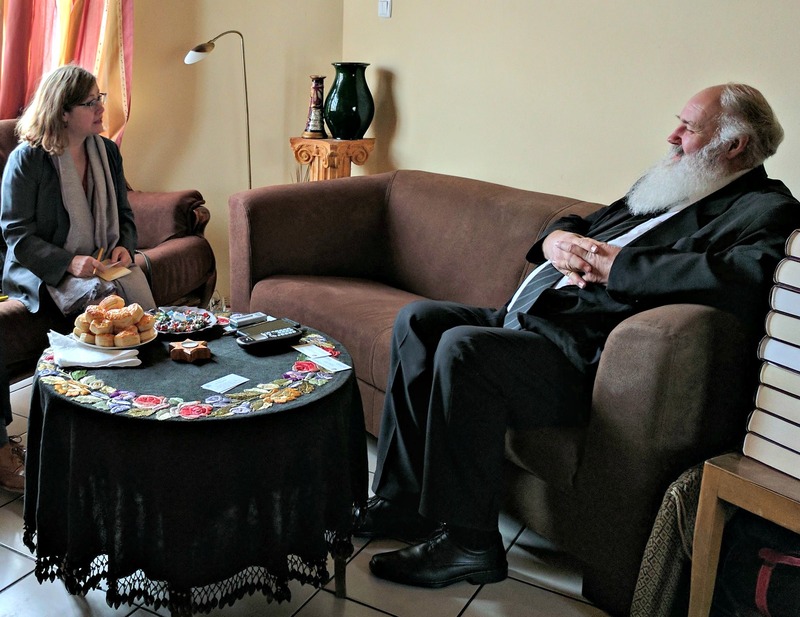 The Hungarian Evangelical Fellowship is known for its charitable and humanitarian work, particularly with Romani communities, and runs schools, homeless shelters, and soup kitchens. However, becausethe Hungarian tax authority has refused to issue a tax number to deregistered churches such as the Evangelical Fellowship, it is impossible for them to be designated them as recipients of a 1 percent charitable donation on tax forms. In 2017, the Hungarian Government has also proposed a Russian-style “foreign agents” law, which is currently scheduled for a vote by parliament, possibly on June 13. In recognition of criticism that, among the draft law’s many problems, it would stigmatize groups that receive foreign funding – including support from co-religionists in other countries – the current draft was altered to include a carve-out exception for religious organizations and sports. If adopted, the law may spur the adoption of copycat laws in the region that might not have the same carve-outs for religious groups. During a press conference in April, Prime Minister Viktor Orban’s chief of staff Janos Lazar suggested that Hungarian groups that receive foreign funding should be designated with a star. He later apologized.